How to stop being so miserable! I have been coaching now for 4 years and I have to say some of the time it can be hugely satisfying… but unfortunately, at other times it can be massively frustrating and here’s why. This may sound odd to the 5% that know their happiness is in their own hands and that their life will get better and better if they continually try to improve themselves … but some people that beg for help actually STOP themselves from using the help provided. Mental I know, but this is for real. They may whinge that they need to change or that they want to change but when offered up the basic techniques to do so they actually STOP themselves from doing it. Sure, some pretend for a day or so that they’ve “changed” but they refuse to stick with it long enough to make it a natural habit. I’ll split these people into a few categories to make it easier to understand their “reasoning” for NOT taking the help. If you fall into any of these categories please keep reading to the end of the post, you might find something to help. Those that resign themselves to being miserable, accepting what they see as bad circumstances and thinking that they can’t change them. Resigning themselves to all the things that are wrong with themselves, like “I’ve got a terrible memory”. Not actually thinking of doing brain training exercises to make it better. Those that resign themselves to a career they detest, because it’s too late to change now. It’s never too late, you just don’t want to have to put in the effort to start again at something else! You could easily find a way to work towards the career you want if you were just WILLING to put in some effort outside of your current job. Those that resign themselves to having bad anxiety because that’s “just who they are!”… nonsense, with a bit of digging about they could easily find techniques to help. Some of these people really would love to be happier or more cheerful but they resign themselves to feeling miserable, as that is just the person that they are! 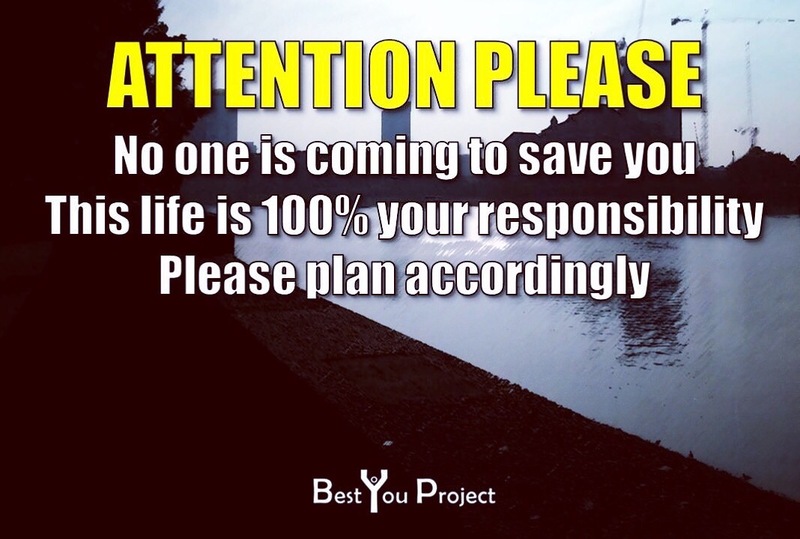 Those that blame other people for their current situation and for creating the person they are today – bad childhood, bad parents, bullied at school, bad experiences at work. Never realising that those events, circumstances, traumas are usually all BEHIND them! At any time they could decide to start again with a fresh outlook. I’m not saying the things they’ve been through were easy, it was probably horrendous at times … but what I’m saying is that most or all of these things are in the past, you can choose now to not let them hold you back any more. There are other Blamers that blame the government for lack of opportunity or too much tax etc, they don’t notice that others are doing fine in the same economy. Or even worse, those that get angry that others are doing fine, calling them “lucky” instead of finding out WHY they are so successful. Basically, they take absolutely zero responsibility for how their life has turned out because if they did, they’d actually have to get off their chair and go fix it themselves. The kind that settle for a partner that they can’t actually stand spending time with, just so they have SOMEBODY and don’t need to consider themselves single, anybody is better than nobody right? Wrong!!! Why spend time with someone you don’t even like, let alone love, that’s just going to annoy you and frustrate you every day of your life. The people that settle for job that they feel is below them or in a company that they hate with a passion, just because it pays the bills. There are other companies out there that you could work for or other jobs that you could find that you won’t actually hate. With a bit of effort you’d find something you like better than where you currently are, if you hate it so much! Those that settle for a lesser make of car or cheaper home because they feel like they don’t deserve anything better. They could buy a 6 year old BMW at £8,000 but they’d rather buy a 1 year old Fiat at £8,000 because they don’t feel they’re worth a BMW … *hint* it’s the same price!! The I “want” to help myself people that just can’t be bothered doing exercise to lose a bit of weight. The I “would” eat healthy but that would involve getting organised so I’ll just eat junk instead. The I “need” a new career but updating my CV or applying for jobs would involve a little bit of effort. The people that talk a great game but never, EVER actually take the action to make the changes that they need to make. The I “have” to lose weight so I can live longer but I like the taste of cake and cheeseburgers, *newsflash* we all do but you have to make sacrifices if you want to make your life better. Once you get fit, the thought of a cheeseburger will disgust you and you’ll actually be enjoying the taste of fresh, natural foods. These guys I feel a bit of pity on but having tried to help a few of them you sometimes have to hold your hands up and say “I can’t help you until you want to help yourself”. They say they want help but they won’t try a new habit suggested or read the book provided or try the technique given. They’ll ask for advice and then not use it. They’ll suffer awful stress and turmoil but still, STILL not take the basic tips that are given to them to help, probably because they feel they don’t deserve to feel any better. A self-sabotager usually has an underlying low self-worth and unconsciously feels that they SHOULD feel as lousy as they do, it’s heart breaking to watch but sadly just the way they have been conditioned over the years. Either way, nobody is going to magically fix things for them, if they want to feel better they NEED to overrule whatever it is that is sabotaging them from helping themselves and finally realise that they can fix this. To overcome all of these character traits all you have to do is take consistent BIG action to help build that self-worth that you need. Once you take that huge bit of action using techniques or tips provided you then need to keep taking BIG action every day for a minimum of 30 days to build enough self-worth that the sabotaging / settling / blaming / resigning or lazy part of you goes away for good. A couple of days won’t do it, your previous weakness will sneak in and haul you back to the misery. A week won’t be enough, the guilt or self-pity that makes you think you deserve to be rock bottom will re-appear. It has to be 30 days, EVERY DAY. Force those good habits in! It must be 30 days and it must be NOW! For once in your life, roll up your sleeves and tell the demons in your head that YOU are in charge! Ditch the pity party for good and take big, BIG action. I can hear them all now … “but you don’t understand what I’ve been through”, “You don’t understand what it’s like” … I am not saying I understand, what I am saying is … and listen very carefully … if you get over your self-pity, blame or whatever it is that is holding you back and start doing these basic techniques provided … YOU WILL FEEL BETTER!! Listen, you WILL. Simple! Just take action and keep taking action until your strength builds and it becomes natural to you. There is one other group of people and this group isn’t elusive, you are welcome to join them any time you like … all you have to do is DECIDE that you want a better life, that you want to feel more confident, that you want to accomplish more. The 5% of people that know that they are in full control of their own lives, their own mood, their own happiness and their own success. That 5% that find ways to improve themselves and realise that nothing was ever achieved by making excuses or blaming other people. The 5% that know you find more of what you focus on so they spend their time focusing on positive experiences, good qualities, good people, amazing future events, the best bits of their day and everything they have … instead of wasting time and energy focusing on bad experiences, rude people, worrying about the future, the bad things that happened to them that day and all the things they can’t afford. That same 5% that you’ll see every day trying to find ways to enjoy their day, that have a positive outlook on life and expect good things to happen, instead of worrying. The intelligent 5% that know that taking action not only “gets stuff done” but also builds amazing confidence, and those that have such a healthy image of themselves that they don’t need others to validate them or make them feel worthwhile because they do those things for themselves each and every day. Every day set yourself a minimum of 3 tasks (no matter how big or small), take action and complete them. This helps build confidence. Every day write down 3 of your strengths, find 3 new things to add each day. This builds a better self-image. Every day write down 3 things you are grateful for, 3 new things each day. This builds a grateful attitude. Every day write down 3 highlights from your day. This builds belief that there actually is good in every single day. Every day write down 3 positive things you think other people you respect would say about you. This builds awareness of how you are actually perceived. Every day add 3 new things to your Must Do list, 3 things that at some point in your life you’d like to accomplish, see, visit or achieve. This builds a more positive outlook. If you are feeling miserable or in a down mood more often than you feel cheerful why wouldn’t you just give this a try? Thanks for reading, stay positive. Next Post James Veitch how to handle spam! Wow! This post is so empowering. I love it.